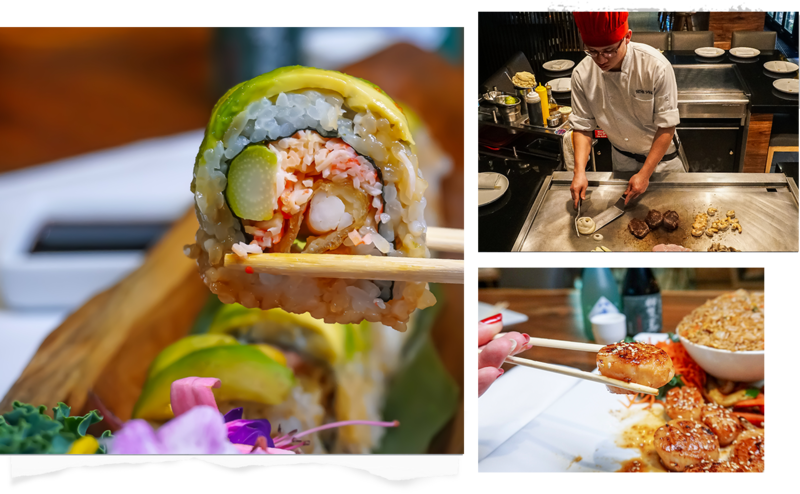 When brothers James and Argelio Jr. Aguayo opened the first Sushi Sake location in 2009, it was to bring high quality and late-night Asian dining options to the suburban neighborhood of Miami they called home. Their dedication to homemade sauces, fresh seafood and Certified Angus Beef coupled with a chic and inviting atmosphere led to the company’s instant success. Sushi Sake’s fun and creative approach to sushi is showcased through menu items such as the Bobby Salad, a flavorful explosion of spicy tuna, avocado and crab salad with a touch of sesame seeds and masago. Our South Florida-inspired menu features local favorites such as the Miami Heat roll packed with shrimp tempura, cream cheese, crab salad and topped with baked salmon, spicy mayo and eel sauce. For a Floridian twist on Japanese mainstays, our Pineapple Fried Rice is a crowd favorite. We offer something for everyone with traditional Japanese cuisine that features an expansive menu of hibachi, teriyaki, sushi and sashimi, as well as our homemade signature sauces and variety of Sake selections. We also feature daily specials, and a lunch and dinner menu that can be ordered through delivery or takeout. Over the years Sushi Sake has expanded to 14 locations throughout South Florida. As the company expands into a national franchise each location brings its own unique twist while maintaining the consistent flavors and dishes adorned with passionate presentation that Sushi Sake is best known for. One of the best sushi restaurants on the rise serving South Florida.